Viva Mexico. Pure authenticity. 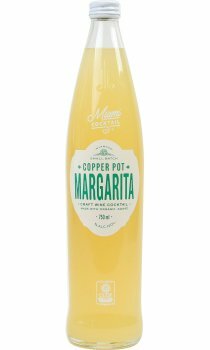 What is Small Batch Margarita? This is about tradition, authenticity, and the perfect blend of passion and precision. Organic pulque (100% blue agave), gently mixed with organic key limes and a touch of Valencian orange juice. The quintessential 3-ingredient Margarita. Add a tiny pinch of raw sea salt and let the flavour and authenticity explode. Balanced, fruit forward and fun. One taste and you will know the difference. 3 from Miami Cocktail Co.